Present a conceptual model and review the recent literature on family dynamics, sleep, and hypertension. Family dynamics predict hypertension and hypertension risk, in part, due to shared health behaviors. 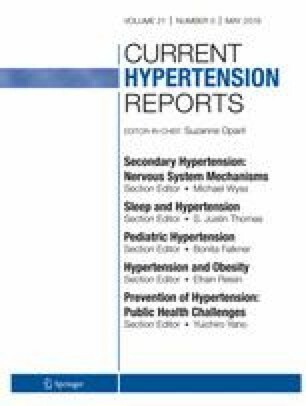 Sleep health behaviors (sleep duration, quality, and efficiency) predict hypertension risk in children and youth and are emerging as a family-level health behavior. Importantly, both family dynamics and sleep are modifiable. Family members influence one another’s sleep through their physical presence and through psychological and emotional mechanisms. Family members’ sleep patterns may also be coregulated. Negative family dynamics are associated with poor sleep health and predict greater cardiovascular risk. Sleep health behaviors in the family context may also interact with family dynamics to dampen or exacerbate hypertension risk factors in children and youth. This review proposes that promoting sleep health in a family context could be one way to reduce long-term hypertension risk. The authors are grateful to Daniel J. Buysse, MD for valued comments on the conceptual model presented in this manuscript. Support for the first author (HEG) was provided by the National Heart Lung and Blood Institute (HL082610).